In September 2017, the Scheme launched ‘Spotlight on… women in construction’ to raise awareness of the need for gender diversity in the industry. ‘Spotlight on… women in construction’ brings together information, resources, examples of best practice, case studies and guidance for construction professionals. This campaign provides registered sites, companies and suppliers with one go-to resource to find out more about women in construction. The campaign followed a survey conducted by the Considerate Constructors Scheme to understand industry opinions on the issue. As a testament to how important this issue is to the industry, over 1000 people responded and shared their thoughts. The survey found that 94% said the industry would benefit from employing more women, and 76% asserted that there are no construction jobs only men can do. A further 52% of respondents said they have witnessed or experienced sexism in the industry. These results demonstrate the scale of the issue and the industry’s support for increasing gender diversity. To date, the campaign page has received over 3,700 page views on the Best Practice Hub and has been featured in: Construction Industry Council, Construction Manager, Housebuilder & Developer, Planning & Building Control Today and Project Scotland. 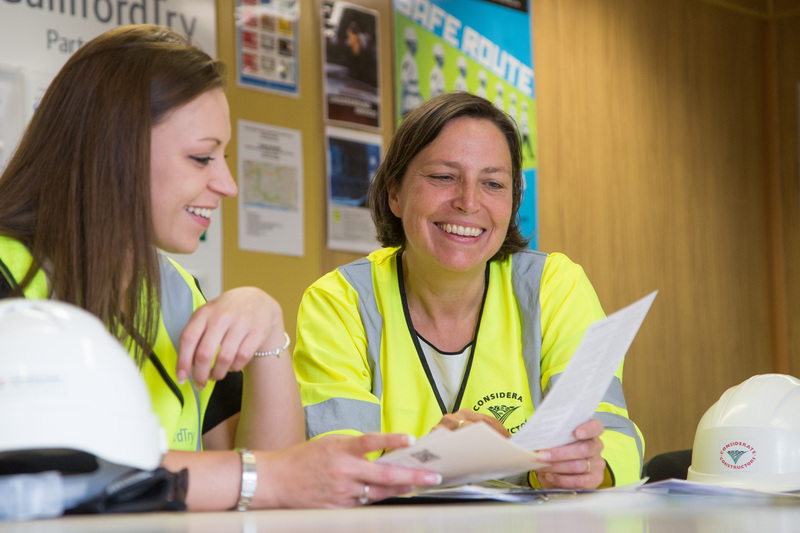 As part of the campaign, the Scheme interviewed several women who work in the industry to share their experiences and advice for other women in construction. Among the women who provided case studies were Managing Director of Crossrail 2 Michèle Dix, crawler crane operator Katie Kelleher, Structural Engineer Roma Agrawal and the UK’s first female gas membrane installer, Sally Cave. Since the campaign launched, the Scheme has identified additional case studies which have been added to the campaign. In late September 2017, Margaret Conway of McAleer & Rushe made history by becoming the first woman to win the title of Construction Manager of the Year in the 40-year history of the CIOB awards. The Scheme spoke to Margaret about her achievement – read her case study here. The campaign has also been updated to include case studies from Nayera Aslam, Noelene Russell and Ruby Lee. Nayera is the Aviation Engineering Manager for AECOM and in her case study discusses what attracted her to engineering and what it means to be a woman in engineering – read her case study here. Noelene Russell is an architectural assistant working on a large construction and restoration project in Plymouth. She talks about her route into architecture and the challenges facing women in the industry – read her case study here. On International Women’s Day 2018, the Scheme published a new case study from Berkeley Homes Trainee Site Manager, Ruby Lee. Ruby shares her advice to other young women considering a construction career and offers her opinion on why women are underrepresented in the industry – read her case study here. 78% said sites are aware of the campaign. 71% have seen improvements in how sites are dealing with the topic of women in construction. 62% have seen more literature on site regarding women in construction. These figures are encouraging as they demonstrate that the industry understands the importance of promoting women in construction and steps are being taken to address the gender imbalance. However, there is room for improvement. Only 4% of our Monitors said they often see women working on site, another reminder of the gender divide in construction. There is more that sites could do to contribute towards efforts to diversify the construction workforce. 60% of Monitors said sites are not raising awareness of the issue among the workforce, while a significant number commented that sites do not think it is an issue that concerns operatives. 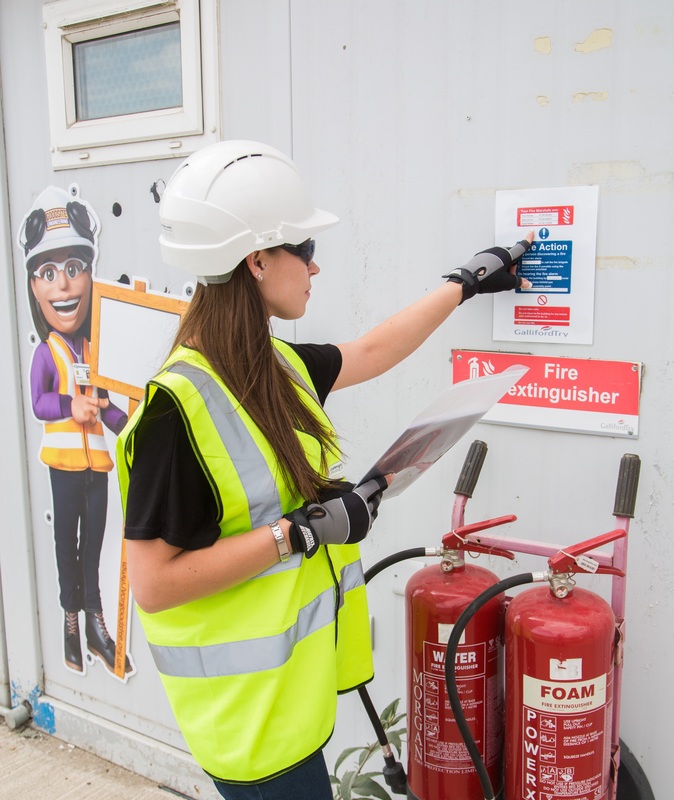 Matters such as recruitment drives are certainly not a consideration for operatives, but it is important to raise awareness of how on-site behaviours can make women feel unwelcome on site and contribute to the low levels of female site workers. The findings prove there is still a need for further awareness-raising around this subject, so that all construction professionals understand how they can contribute to the diversification of the industry. This need not involve large-scale initiatives; contractors of all sizes can get involved and do their part to improve the image of the industry and attract a diverse workforce. To help construction professionals consolidate their understanding of gender diversity in the industry, the Scheme has created a new e-learning course to go alongside the ‘Spotlight on… women in construction’ campaign. These e-learning courses are free of charge and can be accessed by all registered Hub users. Balfour Beatty published their ‘Inspiring Change: Attracting women into construction’ report in October 2017. Building.co.uk has published a Women in Construction campaign featuring the results of an industry-wide survey, analysis and comment. Their survey found that 56% of female respondents had experienced harassment or victimisation during their career. Built by Her is a campaign to change the perception that construction is a male domain. The campaign involves school talks, a national advertising campaign and workshop days. Construction News has launched their ‘Inspire Me’ campaign to help women seek and be given the chance to obtain leadership roles in the industry. Get Her Trade is a national directory of accredited tradeswomen in the UK. Companies can only appear in the directory if 65% of their workforce is female. The Supply Chain Sustainability School and Civil Engineering Contractors Association have launched ‘Fairness, Inclusion and Respect Commitment: Better for Everyone’. The FIR Commitment asks contractors to make a pledge to ensure that their workplaces adhere to these principles. Find out more about contractors signing up to the commitment here. 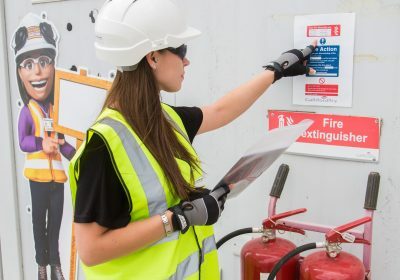 QVS, the electrical supply warehouse, has launched a ‘Female Electrician Hub’, featuring tips, advice and personal stories from women working as electricians. The Best Practice Hub published a case study featuring an interview with Kate McAdam, an opera singer turned site manager for Morgan Sindall. Read her story here. If you would like to share how your organisation is addressing the topic of women in construction, please submit an entry to the Best Practice Hub or contact the Scheme at enquiries@ccsbestpractice.org.uk.